The power of the Internet in China has never been stronger and the potential for international travel, tourism, hospitality and retail brands and companies to increase brand awareness and generate demand has not even begun to be realized. However, in China you won’t get very far with Google, Facebook or Twitter… In fact, as you can imagine given the size of the Chinese market, there are simply countless websites that may be relevant to your brand. But don’t worry, our Chinese digital marketing and online advertising team can help you plan and implement effective PPC and display advertising campaigns in China across the most relevant travel and life style websites, magazines and social media sites, and ad networks. We create strategies to reach a wide range of target audiences utilising a variety of tactics from high impact media placements to broad reach vehicles, social media integration and hyper-targeted performance media. A targeted email marketing campaign in China can help generate awareness for your brand, engage partners or potential customers and help increase sales. Business in China can manage all aspects of your email marketing in China. Ok, so now you have your new website localised for the Chinese market. But that’s only the beginning. You need to make sure your site is registered with the relevant Chinese search engines and that you have optimised your website to maximise your exposure, search rankings and visibility to your target audiences. And you won’t get very far with Google if you’re targeting Chinese tourists! You need to make sure your website is optimised for ‘Baidu’ (the Chinese equivalent of Google), which has a dominant market share in China. 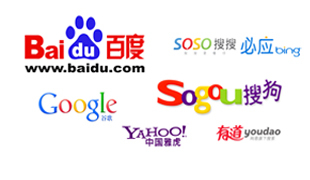 SEM on Baidu is almost a must-do for digital marketers who want to target Chinese internet users. 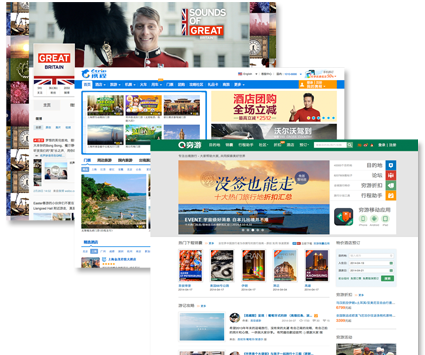 Our experienced Chinese online marketing and social media team can help you optimise your website rankings in China. Baidu account set up and contracting on your behalf. This can be a complicated and drawn-out process due to strict government regulations. SEM planning, including objective and budget reviews. Campaign monitoring and budget control.